This easy Sweet Potato Casserole with Pecans is a healthy holiday side dish! This family favorite Thanksgiving side dish is the perfect amount of sweet and wholesome–you’re going to love it! 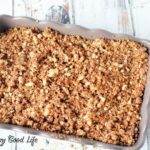 This mashed sweet potato casserole topped with coconut sugar and pecans is so delicious and easy to make. Sweet potato casserole is a classic dish that many come to expect at the holidays. This one is made with more clean, wholesome ingredients so you can enjoy it without so much of the guilt. 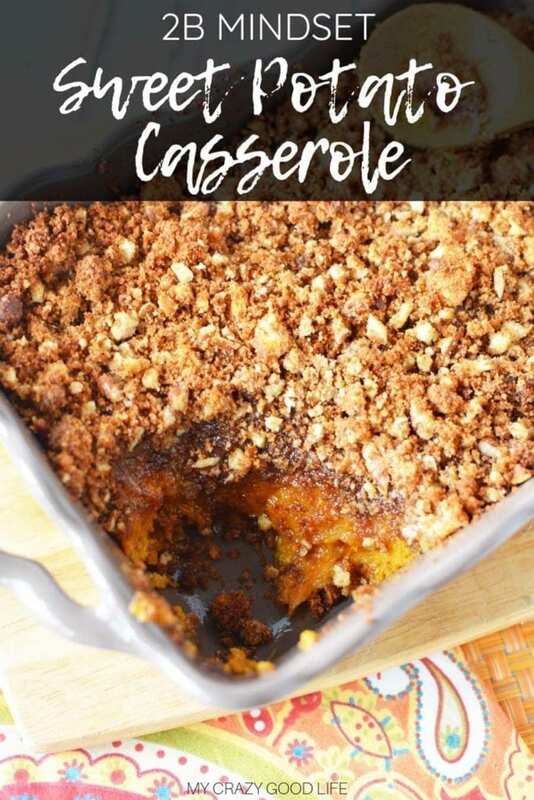 It’s a healthy sweet potato casserole that the whole family will enjoy! 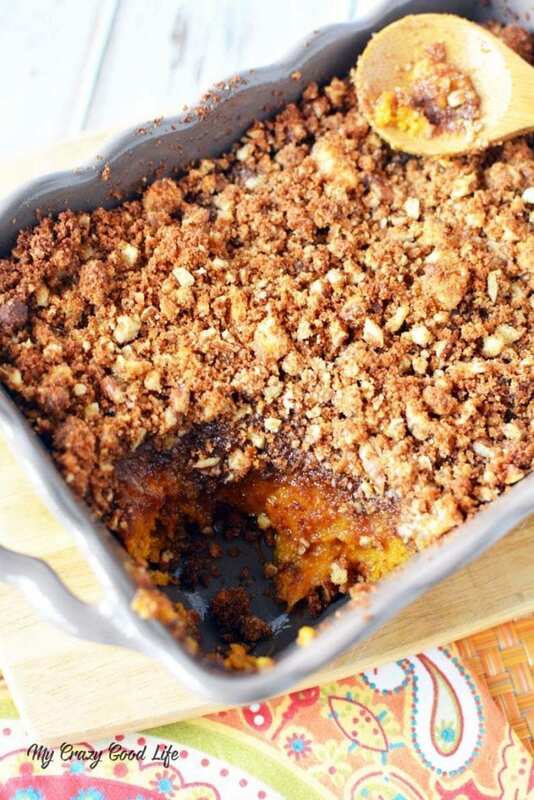 How do I make this sweet potato casserole? 1. Mix the sweet potato, coconut sugar, butter, vanilla, salt, milk and eggs together by hand or with an electric mixer, and place it into a greased pan. 2. Melt butter, add coconut sugar and stir until dissolved. Stir in almond flour and pecans. Combine until well mixed and crumbly and sprinkle topping. 3. Bake at 350 for 30 minutes in a small casserole dish. It really is as easy as all of that! I use my Instant Pot to make the sweet potatoes because they come out perfect every time and I can mash them right up! You can bake them or boil them or use whatever method makes you happy! 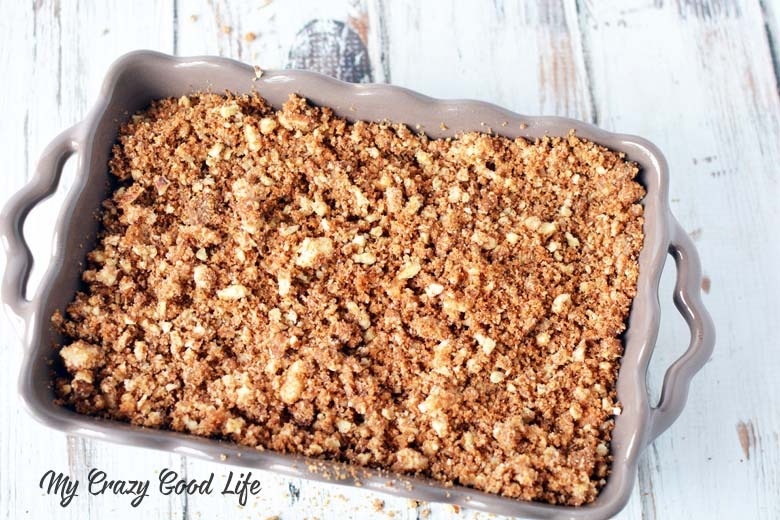 Can I eat this healthy sweet potato casserole on 2B Mindset? What’s in the bottom layer of my healthy sweet potato casserole? 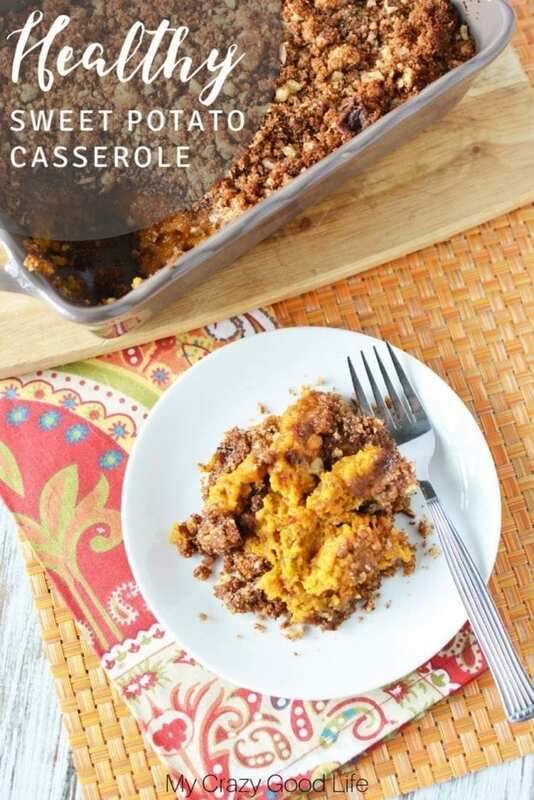 What’s in the topping for this casserole? 1/2 yellow container, 1 sweetener teaspoon, 1 oil teaspoon, about 1/12 red container, and about 1/3 blue container. Do you have other delicious and healthy recipes I can try? Mix the sweet potato, coconut sugar, butter, vanilla, salt, milk and eggs together by hand or with an electric mixer, and place it into a greased pan. Melt butter, add coconut sugar and stir until dissolved. Stir in almond flour and pecans. Combine until well mixed and crumbly and sprinkle topping. Bake at 350 for 30 minutes in a small casserole dish. Hi there! Per serving, this would be 1Y, 2 sweetener teaspoons, 2 oil teaspoons, about 1/6R, and about 3/4B ;) I’ll add that to the recipe now!